Voices of the Valley: Word for Word contains 82 written pieces: essay, memoir, poetry, and short stories. The variety showcases the talents of TVW’s diverse writing community. I am honored to have my pieces included. Voices of the Valley: Word for Word may be purchased at Amazon. 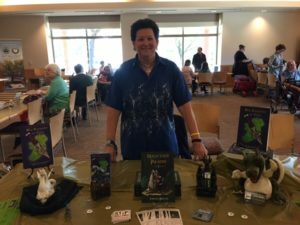 Join me and three of my writer friends (Paula Chinick, Mary Heaton, Elaine Schmitz) as we take you on armchair journeys to Ireland, Greece, and Shanghai without ever needing a passport. How, you ask? 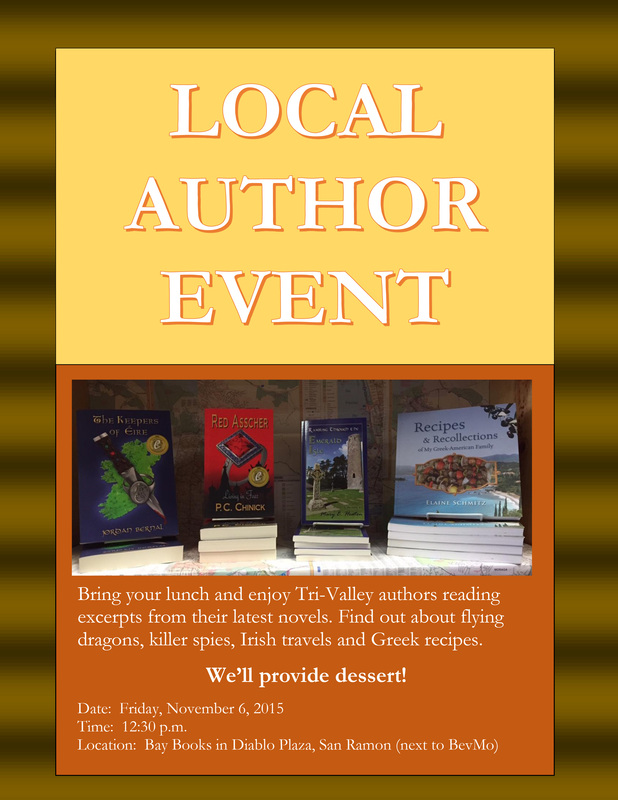 At a Tri-Valley author event on Friday, November 6, 2015 starting at 12:30 p.m. at Bay Books in San Ramon, CA. Check out our flyer below. And taste some fabulous desserts from these exotic locales (including my Dragon Guinness Malt Cake). Yes, I have signed up to take the challenge again this year. I’ll do my best to cross the finish line of 50,000 words, but mostly I wanted to get myself back on track writing every day. While I’m into my 3rd month of a year-long left elbow surgery recovery, the word count isn’t as important as the consistency of writing every day. I know that some days may be better than others. This year I’ll be working on my middle-grade novel that I promised to Jake R. I’m working from a synopsis and a scene list, much better (for me anyway) than writing by the seat of my pants. While I don’t plot out everything, I do like to follow an outline (not detailed, mind you). I still let my characters go where they feel they need to go—I’ll rein them in during the editing process. Wish me encouragement! 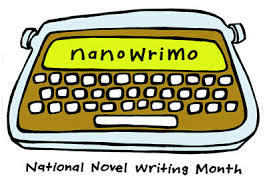 And any other writer that is up for the NaNoWriMo challenge.